Social media is THE place to show all your fun adventures, especially Instagram! Between travel bloggers, travel vloggers and our favorite celebrities, unrealistic expectations are running rampant about life abroad whether you’re traveling for a vacation or living as an expat. Everyone’s experience is different…but you know traveling is a highlight reel and it’s important to let you really understand how us non-sponsored, budget travels live. I worked as a teaching assistant, thus I didn’t make big money. Free walking tour? I’m there. Student discounts on public transportation? No problem, I always carry my student ID. Budgeting became my best friend to figure out how I could enjoy going out with friends, tasting new foods, traveling (mainly transportation and housing), buying groceries and paying rent. To supplement my travels and income I taught private English lessons on the side. 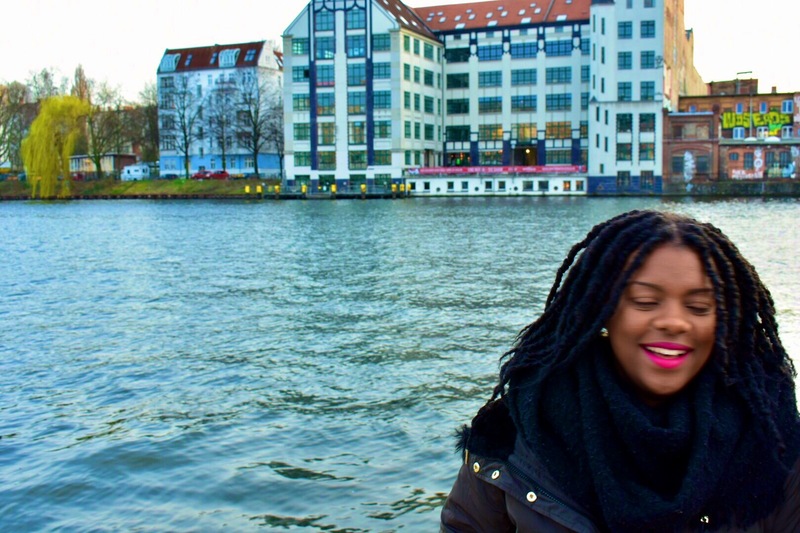 Living abroad can require your side hustle to have a side hustle, get creative! This is not Monte Carlo or The Lizzie McGuire Movie. I stayed in hostels and Airbnbs throughout my time and loved every minute…sort of. Sometimes the showers were cold and the Wi-fi was horrible, but cheap housing is an easy cost to cut for better tasting food and drinks. Traveling with friends and sharing an Airbnb or booking a hostel early can also make life easier. Everyone’s world didn’t stop because I decided to move abroad. I missed my Nana’s big birthday celebration and my siblings’ swim meets and baseball games. I missed family meals and holidays such as Kwanzaa, Mother’s Day, Father’s Day, Christmas, Thanksgiving, etc. Luckily I was able to return for my brother’s wedding, but that didn’t make up for 9 months of being away. Just as you are growing, your family and friends are growing too. As you learn how to open up that foreign bank account, they learn how to live without you. Don’t take it personal, life happens. No matter what social media tells you, we all need friends. Unlike studying abroad through my university, I knew no one in Fulbright. Under normal circumstances (i.e. not while living abroad), building friendships is already time-consuming. Add living in a foreign country with a foreign language and it makes you anxious and aggressive. You want to find your venting buddies, travel buddies, party buddies, wine-night buddies, ugly-cry-breakdown buddies, etc. in your circle with people you just met. It’s mind-blowing how close or estranged you can become in a few short months. My travel friends and I had distinct personalities, values, budgeting strategies and annoyed one another often. But at the end of the day, there is a unique bond you create with your travel friends that makes them stick around after you all return home. By the end of my Fulbright grant I was more than ready to go home. I wanted a non-Spanish meal, my NutriBullet, my little sister talking my ear off and my brothers bothering me to bake cookies. No one said living abroad was easy and it’s normal to miss what you left behind. Allow yourself time to feel that homesickness; don’t push it under the rug or fly to a different country to forget. Those are temporary fixes that’ll make it worse. We are in the age of social media and video chatting on Snapchat, Facebook and Skype. Though video calls aren’t the same, make the best of what’s available. Remember when I said that some friendships made abroad become estranged? Well my roommate situation was one of those friendships. I got along well with a few of them, but others not so much. It’s hard to live with people from 4 different cultures, personalities and living styles. Daily tension such as who cleans out the shower and washes the dishes are heightened by cultural differences. My mom told me I should re-name my “bucket list” a “life list” and for me I couldn’t see every country I wrote down prior to my flight for Madrid. I was unapologetically ambitious as I wanted to visit Greece, Malta and Croatia during my one-week Spring Break, then go to Scotland the weekend after. It’s important to be realistic with your travels and know your limits. Constant travel is tiring and there isn’t enough time to see every winding road or tourist attraction in one adventure. Each country you haven’t seen just gives you a reason to return one day, right? Thanks for reading! Help a friend who may be abroad, and pin it!